As online marketers, we aren’t just passive recipients and practitioners of online marketing trends and strategies. We’re active participants in the industry, helping to define and transform those trends. As a result, we have an implied responsibility to keep ourselves objective, which is increasingly difficult in a world where content is self-influential. All it takes is one piece of content for a myth to be born; an improperly cited statistic, a mis-worded claim, or even a phrase taken completely out of context can spark a misconception among thousands of potential readers. While content marketing suffers from its own share of harmful misconceptions, few online marketing strategies have suffered more from the perpetuation of myths than link building, which is coincidentally one of the most powerful inbound strategies you can pursue. Even the basic premise of link building is polarizing, due in part to its implied nature of rank manipulation. On the surface, it’s a strategy to pass more authority to your site, which will then rank higher in Google searches for relevant queries, but its benefits extend to brand visibility, referral traffic, and dozens of other small perks. Thanks in part to the sensationalism surrounding the Penguin update, and the changing implications of what actually constitutes “link building,” many marketers have either abandoned the strategy for the wrong reasons, or are engaging in link building incorrectly. This is a partial truth that is often mistaken as an objective and universal reality. Google examines your backlink profile to determine your authority, measuring your trustworthiness by the number of already-established trustworthy sites that link back to you. However, the relationship is not as simple as “every link you build will increase your ranks.” It’s true that building higher quality links can improve your domain authority, but authority is still only half of Google’s consideration in calculating ranks—you also have to be relevant to users’ queries. Don’t oversimplify the process. This is a myth that’s been passed around since 2012, when the Penguin update came onto the scene. Penguin works by evaluating link quality to a more sophisticated degree, weeding out link spam by penalizing sites with irrelevant or spammy link building techniques and rewarding sites with higher quality backlink profiles. This doesn’t mean that you can’t build links anymore; you just can’t use the black hat tactics that shady webmasters used to rely on for easy rank manipulation. Today, most manual link building is done through guest posting, and an even safer form of link building involves attracting links naturally with viral content. When people hear about the technical sophistication of the Penguin update, or the fact that there are several numbers (like domain and page authority) involved in the process of backlink profile auditing, they immediately assume that link building is a difficult, complicated process. Admittedly, it’s not as simple as the name would suggest, but that doesn’t mean it’s not approachable. If you read the right sources, you can learn the basics of link building in the span of a few hours, and become adept after practicing for a few weeks to a few months. One of the most popular “new” methods of link building is the creation and promotion of viral content, which is designed as a kind of link bait that naturally encourages people to link to it due to its practical or entertainment value. This is a “safe” way to build links because it can’t possibly be mistaken as a means of rank manipulation. However, it’s not the only safe way to build links. As long as you’re posting content with the end user in mind and genuinely adding value to the web, you have nothing to worry about. It was once common practice to stuff the anchor text of your links with keywords related to your brand or industry, as a way to increase your associated relevance with those keyword terms. These days, Hummingbird and Penguin are too sharp to allow for such keyword-based exploitation, and egregious attempts to keyword-stuff your anchor text may end up getting you penalized. Instead, your anchor text should describe the content you’re linking to, concisely, accurately, and in a contextually relevant way. Both are attempts to keep their own domain authority and integrity as a publisher in check. There’s a common misconception that nofollow links are worthless, but you’ll still get the brand visibility and referral traffic benefits—not to mention a better relationship with the publisher in question. Link building is about more than just rank increases. 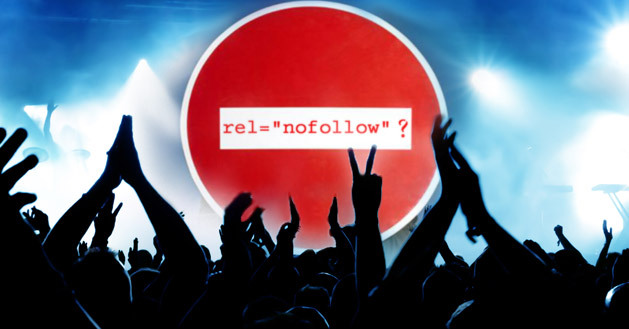 For more about when and how to use the nofollow tag, check out this helpful infographic from Search Engine Land. This is a fallacy that seems to plague most newcomers. When they see a new link correlated with an increase in domain authority, ranks, and traffic, they immediately assume that every new link they build will produce the same effect. However, there’s a law of diminishing returns inherent to sources of the same caliber: over time, equivalent links you build (especially those on the same site) will return less authority to you. Instead, it’s better to invest in the highest quality links you can. One highly trustworthy link will mean more for your authority than dozens of lower-authority sources ever could. The biggest takeaway here is that link building is far more complex and multifaceted than its simplistic moniker would imply. It’s a powerful strategy, and a relatively safe and approachable one, but only if you make the commitment to do the research and follow up with the right tactics. Like most online marketing strategies, the more you invest in it, the more it’s going to pay off, but only if you prioritize it as a quality addition to your marketing repertoire. And if you’d like to see how content marketing can help you improve SEO, you should read this eBook! 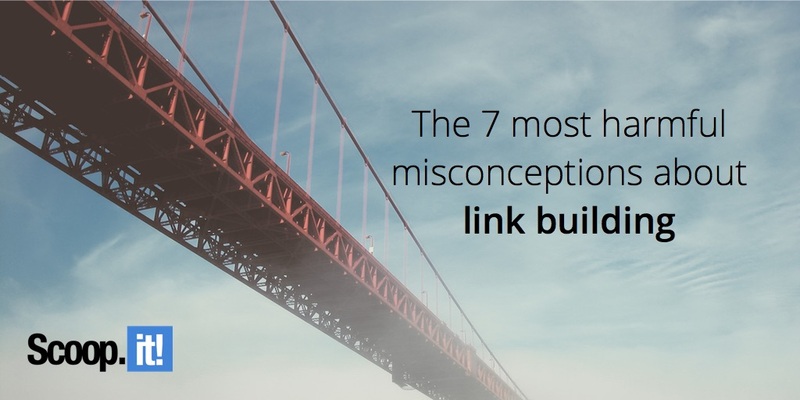 2 Comments on "The 7 most harmful misconceptions about link building"
This article is straight to the point. Well articulated.